Lately, I've been all about comfort. My go to outfit has been sneakers/flats, sweater and comfy ripped jeans. I love sporty pieces that have a little bit of an oomph! 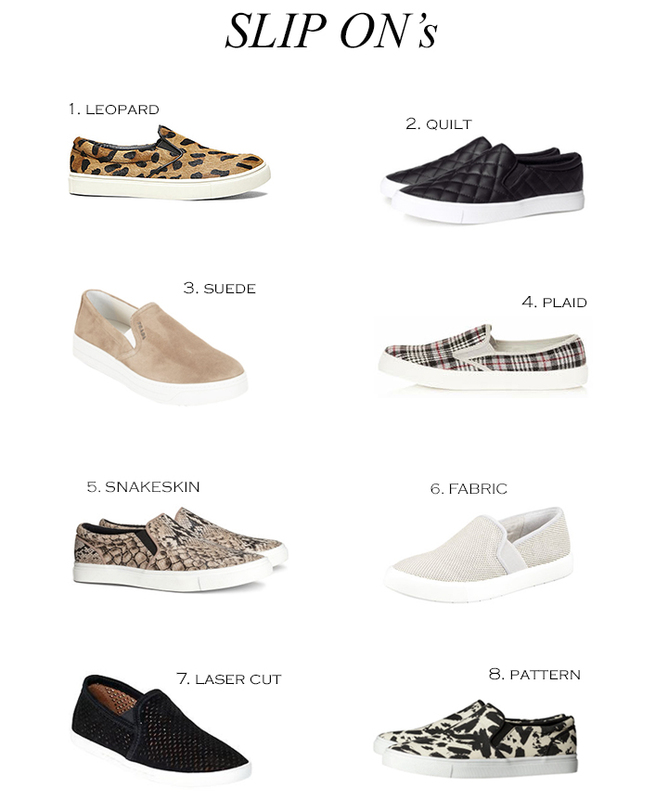 These slip ons are perfect for just that. They're comfortable, sporty, chich with a bit of edge. I love that slip ons are coming back this season. They used to be my go-to shoes when I was 12/13 because they're so comfy! I'll definitely have to pick up a pair. I love the idea of pairing a leopard print pair with an all black & white outfit! Leopard & snakeskin for the win!